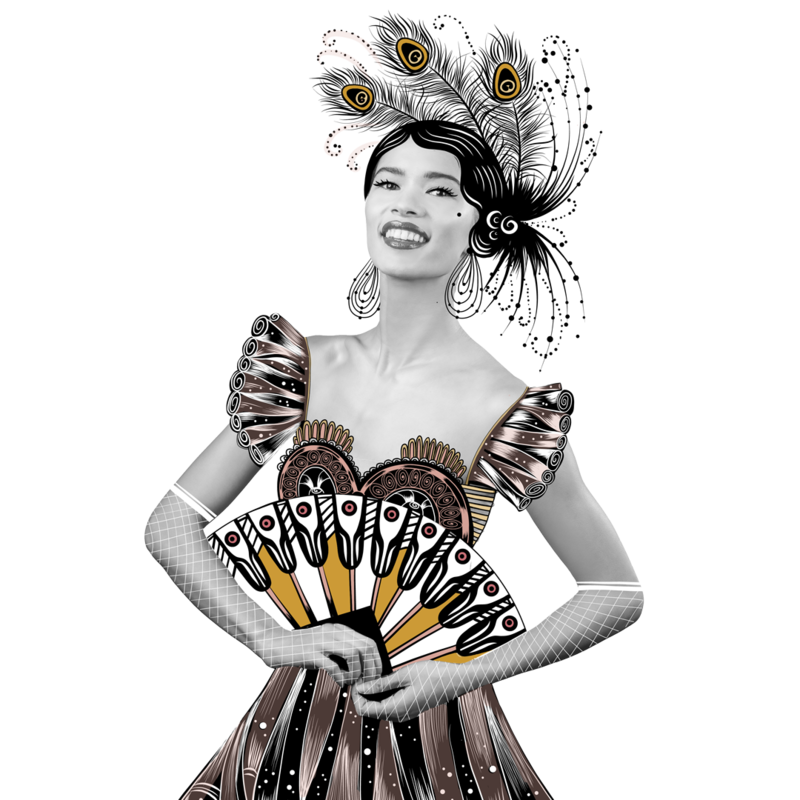 Get ready to indulge in the Viennese torte known as Franz Lehár's The Merry Widow (Die Lustige Witwe) in this wonderfully lavish Art Nouveau production directed by Canadian Kelly Robinson (last at Vancouver Opera as director of the hit production of Evita). Set in the heart of vibrant fin de siècle Paris, the wealthy widow, Hanna Glawari, sung by Italian-Canadian Lucia Cesaroni, schemes to win the heart of dashingly handsome Count Danilo, interpreted here by tenor John Cudia, recently at VO as Cassio in Verdi’s Otello. 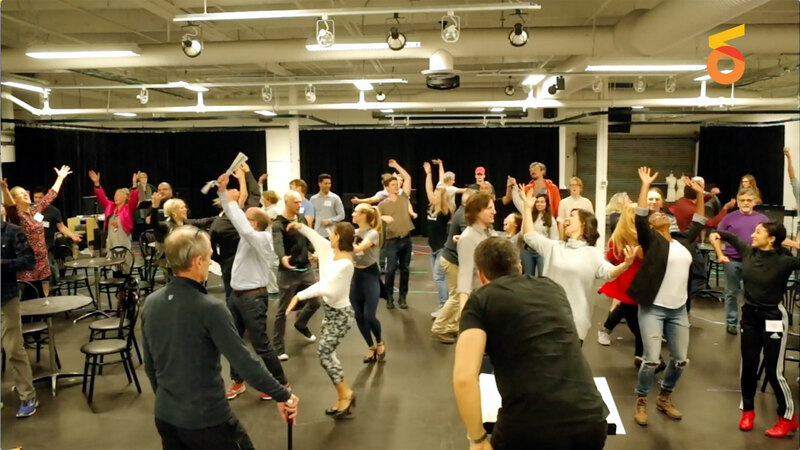 The story unfolds on a stage packed with elegant ladies, eligible bachelors, and Maxim’s famous can-can dancers. Franz Lehár’s charming score, last performed at VO in 1990, is filled with lush waltzes and ballads. Susan Memmott-Allred’s costumes and Michael Yeargan’s sets evoke the Belle Epoque period with winning style. 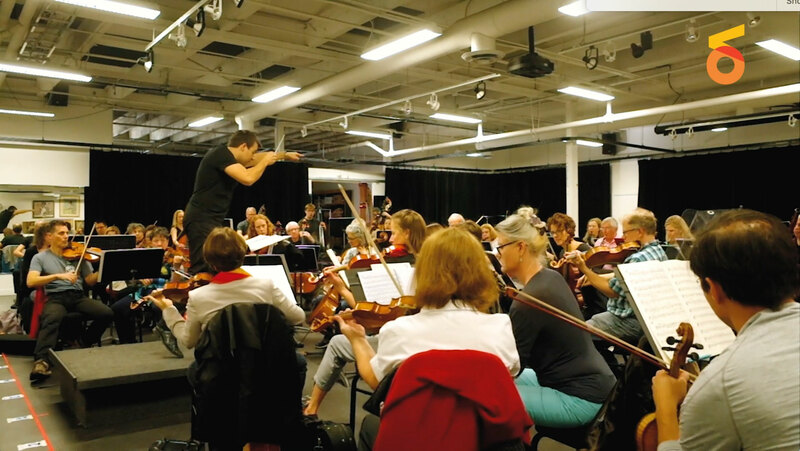 Rising star conductor Ward Stare will direct the Vancouver Opera Orchestra. The performance will last approximately 3 hours, including 2 intermissions. With the Vancouver Opera Chorus and the Vancouver Opera Orchestra. The Pontevedrian Ambassador in Paris, Baron Mirko Zeta, is giving a ball at the embassy. His home country is nearly bankrupt and he hopes that their Parisian guests will help him raise the money they need. He’s oblivious to the flirtation between his “virtuous” wife Valencienne and the handsome French Aristocrat Camille de Rosillon. In fact, Camille has declared his love for Valencienne and writes, “I love you” on her fan. Zeta eagerly awaits the arrival of the guest of honor, Hanna Glawari, a wealthy Pontevedrian widow. He plans to have Danilo Danilovitch, a womanizing aristocrat and the embassy attaché, marry her so that her wealth will stay in Pontevedro. Hanna arrives and is showered with compliments by the Parisian men. Valencienne realizes she has lost her fan with Camille’s incriminating message and rushes out to look for it. Finally Danilo arrives, fresh from a night of partying at Maxim’s. He and Hanna talk, revealing that they were once in love, but that Hanna, whose family was poor, was considered beneath Danilo’s status, and his family prevented them from marrying. Afraid of seeming to be seen as a fortune hunter, he tells her he’s not interested in marriage and will never say, “I love you.” Meanwhile, Zeta’s chief of staff, Kromov, finds Valencienne’s fan and thinks it belongs to his wife, Olga. Zeta, wanting to spare Olga the scandal, convinces him it belongs to Valencienne. He then meets with Danilo and orders him to marry Hanna for the good of Pontevedro. Danilo tells him he will keep all the Parisian men away from her, but will not marry her. When the ladies choice dance is announced, Hanna selects Danilo, and after some flirtatious bantering the two finally dance. The following day, Hanna hosts a party at her villa. Danilo arrives late, and Zeta commands him to return to his mission of keeping the Parisian men from Hanna—particularly Camille. Zeta’s secretary, Njegus, reveals that Camille is in love with a mystery woman. Zeta wants to marry her off to Camille, leaving Hanna free for a Pontevedrian suitor. He believes the fan is the key to her identity and asks Danilo to find its owner. When Hanna comes across the fan and sees its inscription, she assumes it is a gift to her from Danilo, but he still won’t say “I love you” and she will not accept him until he does. They are interrupted by Zeta, who is still trying to learn the identity of Camille’s secret lover. The men agree to meet later in the pavilion to discuss the matter and leave. Camille and Valencienne enter, and finally find the missing fan, and this time Valencienne writes, “For my loving husband from his adoring wife” on it. Observed by Njegus, they disappear into the pavilion. When Zeta arrives to meet Danilo, Njegus prevents him from entering the pavilion in order to protect Valencienne’s secret. When Danilo enters and distracts Zeta, Njegus persuades Hanna to secretly take her place. Hanna emerges with Camille, announcing their engagement. A furious Danilo departs for Maxim’s, which Hanna takes as proof of his love. Hanna has decorated one of her salons as a replica of Maxim’s, and has imported the waiters and the grisettes. Zeta and the other Pontevedrians appear, and the grisettes—among them, Valencienne—entertain the crowd. Eventually Danilo arrives, and after an entrance by Hanna, he forbids her to marry Camille. When she explains that she was merely safeguarding another woman’s reputation, he is delighted but still won’t declare his love. Hanna informs him that, according to her late husband’s will, she will lose her fortune if she remarries. Danilo, delighted, finally declares his love and asks Hanna to marry him. She accepts and amends her account of the will: upon remarrying, her fortune will pass to the Fatherland. Njegus produces the missing fan, which he found in the pavilion. Valencienne asks Zeta to read the other side of her fan—she is a respectable wife after all. With the couples united, all celebrate! 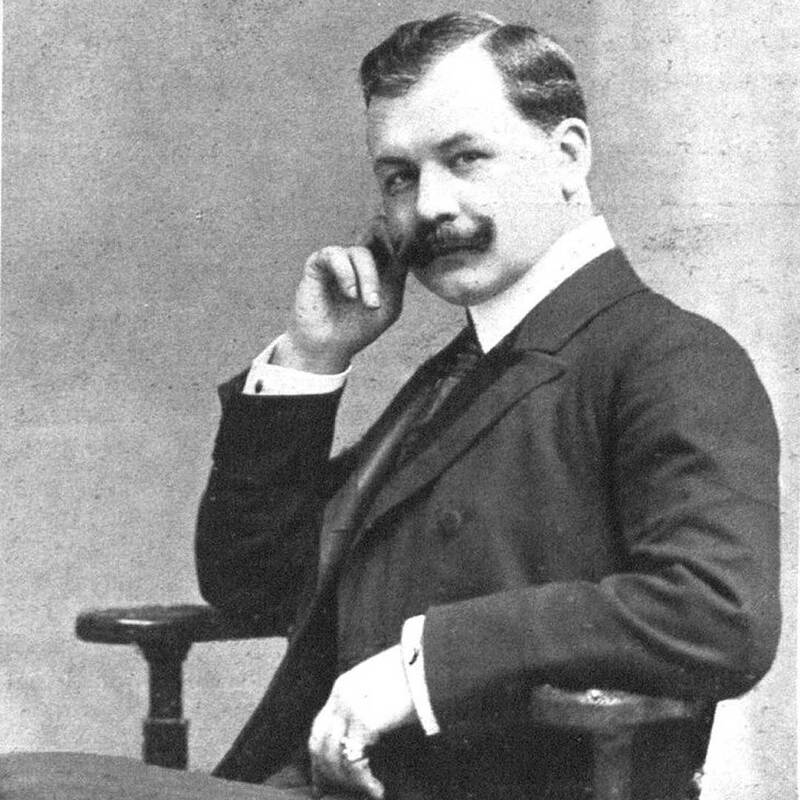 Franz Lehár (1870–1948) trained at the Prague Conservatory, where his mentors included Antonín Dvořák. He wrote some orchestral music but is remembered primarily for his operettas, especially The Merry Widow, his breakthrough success, and The Land of Smiles (Das Land des Lächelns) from 1929. The libretto for The Merry Widow was written by the Vienna-based team of Leo Stein (1861–1921) and Viktor Léon (1858–1940), who also collaborated on libretti for Johann Strauss, Jr., and others. 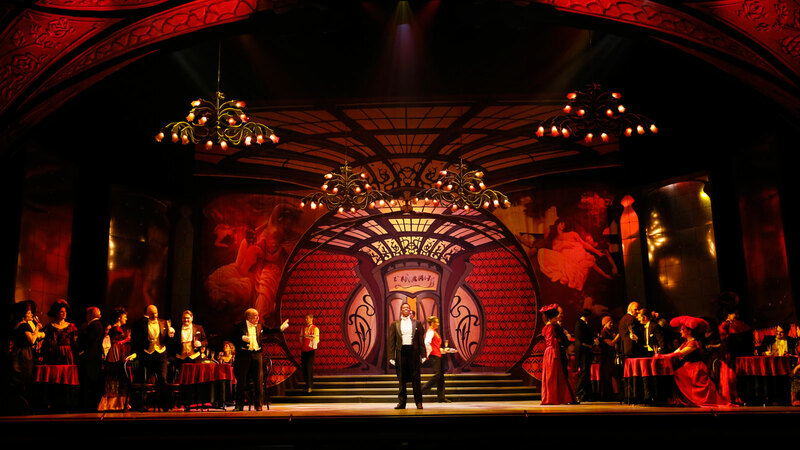 The Merry Widow is based on the play based on the play L’Attaché d’Ambassade by Henri Meilhac. The english dialogue is by Sheldon Harnick. 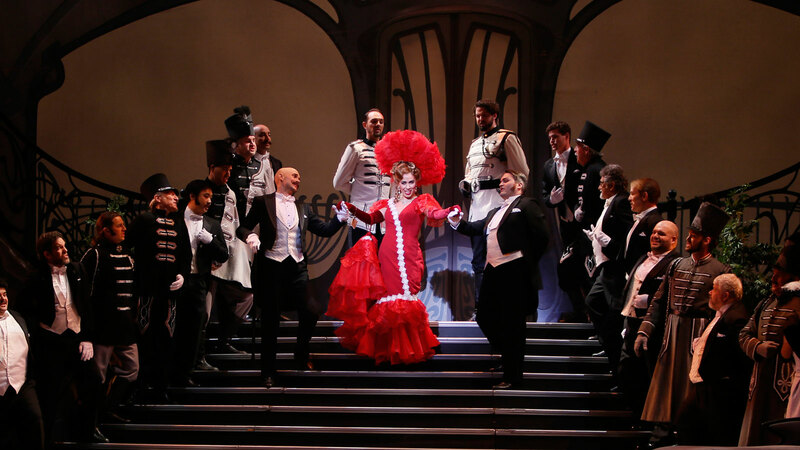 One of the most enduringly successful of the great Viennese operettas, Franz Lehár's The Merry Widow had its premiere at Theater an der Wien, Vienna in 1905. This captivating romantic comedy had its Vancouver Opera premiere in our 1975-1976 Season, and was last produced by VO in our 1989-1990 Season. 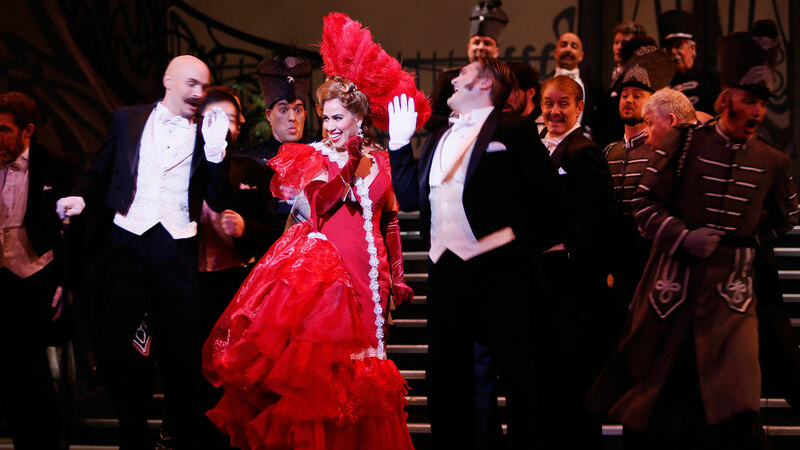 This is the third time Vancouver Opera has mounted a mainstage production of The Merry Widow. The sets and costumes for this production come courtesy of Utah Opera. 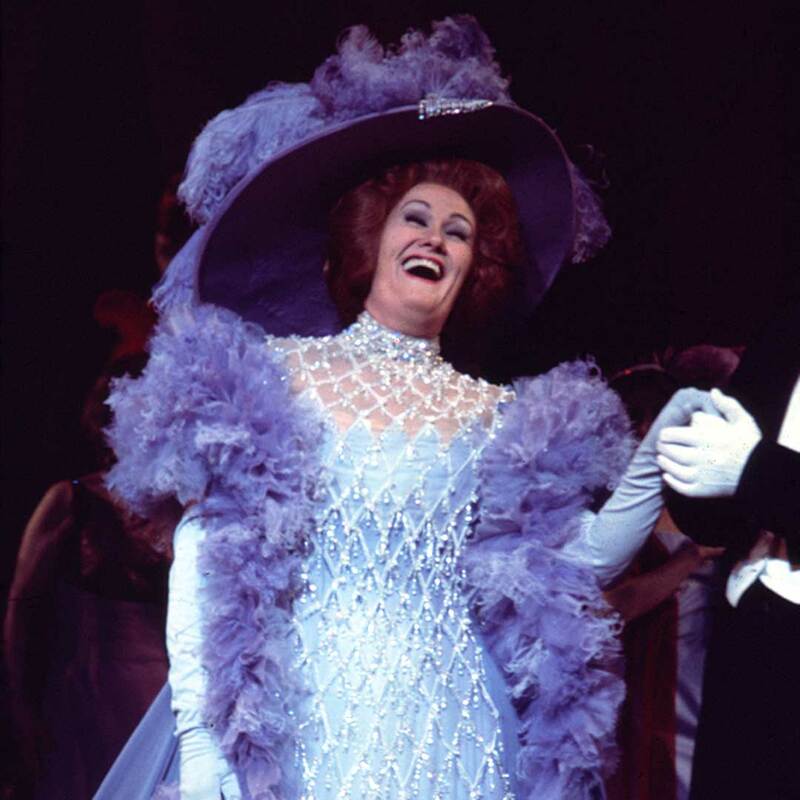 Pictured: Joan Sutherland in Vancouver Opera's production of The Merry Widow from our 1975-1976 Season. And I'm doing all right tonight"